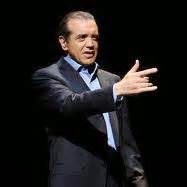 Chazz Palminteri grew up in a tough area of the Bronx which gave him the life lessons that would later prove very useful to his career. Well known for A Bronx Tale, Palminteri originally wrote the script for the stage and performed it as a one-man show in Los Angeles. One night Robert DeNiro walked in to see the show and as they say ”the rest is history.” He then moved the production to New York, where it played for four sold-out months and earned him nominations for the New York Outer Critics Circle for both acting and writing. While in New York he completed the screenplay of A Bronx Tale and soon found himself starring opposite DeNiro, who chose the script for his directorial debut. Tickets are $75: www.foxwoods.com; 800-200-2882. Best school chums Barbara (Geneva Carr) and Nikki (Sarah Manton) are reunited after years apart when Nikki and her yummy new fiance, Hamish (Matthew Greer) rent a room in Barbara's house while work is completed on their new home. Nikki, just out of an abusive relationship, can hardly believe that she has landed Hamish who calls her his "porcelain princess." She so wants Babs to like him. Prickly, opinionated Barbara who earned the nickname of "Spike" at the all-girls school where Nikki and her classmates all had crushes on the formidable woman, isn't taken with Hamish, however, at least at first. When personality sparks lead to sexual tension, however, Hamish and Barbara begin an affair. They have to come to grips with being the kind of people who would do such a thing. They aren't the only ones who get hurt. Also needing a self-evaluation is tenant Gilbert (Michael Mastro) who has been keeping evidence of his odd devotion to Barbara hidden in his downstairs flat. Nice performances from all the players, directed by John Tillinger, who previously has directed Ayckbourn's How the Other Half Loves and Relatively Speaking at Westport Country Playhouse (next season he will helm Bedroom Farce.) Carr is entertaining as the judgmental, uptight, but suddenly out-of-control Barbara (she also starred in Relatively Speaking as well as two other Ayckbourns at WCP . Manton, who showed her comedy prowess on Broadway in One Man, Two Guvnors, shines again as the innocent, if odd, Nikki. "I'm pathetic," Nikki says. "No wonder why people punch me." Broadway vet Mastro brings humor to a somewhat underdeveloped character and Greer is just right in his offense at being seen at the end of Barbara's nose. -- James Noone designs a frustrating three-level set. At stage level, Barbara's flat is nicely appointed with a long staircase stage right leading to the other flats. Nikki and Hamish's place is shown only in abbreviated shadow box form, allowing us to see action from about the waist down. Gilbert's basement flat, set in the orchestra pit area, was totally unviewable from the balcony level. Every time action centered there, the balcony leaned forward en masse to try to see what was happening. I suspect the view isn't much better from rear parts of the orchestra level. -- Some of the dialogue is very difficult to hear (sound design by Scott Killian, who also designs original music -- the tune "The Things We Do for Love" during scene changes.) People near me at intermission were complaining that they couldn't hear and during the show, often were supplying missed lines for each other. --I am not crazy about this story. There are some funny lines and moments to be sure, but two people physically and emotionally abusing each other doesn't equate to love for me. Perhaps a better title would be "Things We Do for Lust, Loneliness, Longing, or Low Self Esteem," but not "love." Things We Do for Love plays through Sept. 7 at the Westport Country Playhouse, 25 Powers Court, Westport. Performance are Tuesday at 8 pm, Wednesday at 2 and 8 pm, Thursday and Friday at 8 pm, Saturday at 3 and 8 pm and Sunday at 3 pm. Tickets and info: 203-227-4177, 1-888-927-7529; www.westportplayhouse.org. They took Broadway by storm in one of the biggest hits of all-time, and now on their fifth national tour, THE MIDTOWN MEN perform their favorite "Sixties Hits" from The Beatles, The Rascals, The Four Seasons and more at the Palace Theater in Waterbury, on Friday, Sept. 26, at 8 pm. Tickets for the one-of-a-kind concert experience are $65, $55, $45 and $35: 203-346-2000; www.palacetheaterct.org; box office, 100 East Main St., Waterbury. Before the performance, Riverhouse Catering will prepare a 6 pm three-course dinner in the Palace’s Poli Club, located on the mezzanine level of the theater. Dinner is $40 per member/ $50 per non-member, which includes tax, service fees, coffee, and tea. A cash bar is also available. Seating is limited, and reservations can be made when purchasing tickets through the Box Office. 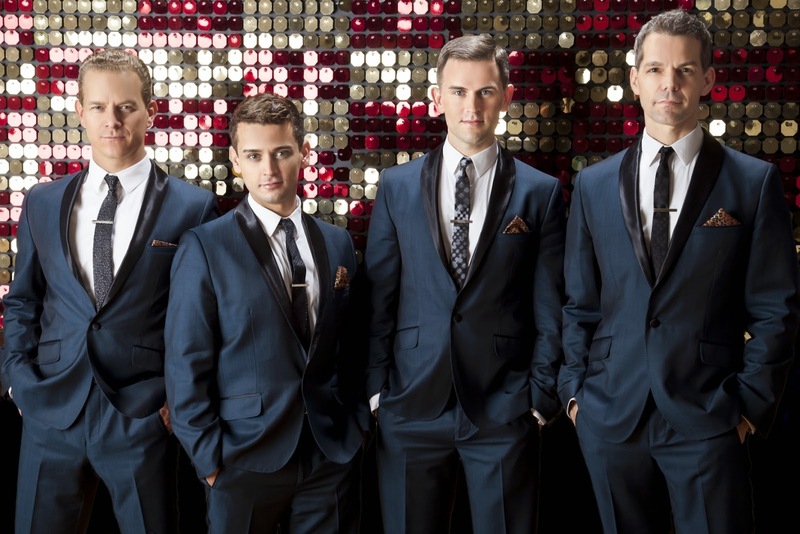 Formed in 2007, THE MIDTOWN MEN reunites four stars from the Original Cast of Broadway’s Jersey Boys. Following their storied run on Broadway, Tony Award-winner Christian Hoff, Michael Longoria, Daniel Reichard and Tony Award-nominee J. Robert Spencer have been selling out venues coast to coast by celebrating the music that defined the '60s with top-shelf choreography, incredible vocal performances and legendary onstage chemistry. These talented entertainers shared the Broadway stage for over a thousand performances, and now, as THE MIDTOWN MEN, they have thrilled crowds on concert stages and symphony halls across the continent. Their album, THE MIDTOWN MEN: SIXTIES HITS, was met with critical acclaim and garnered five-star album reviews across iTunes. The album was recorded in New York City and features the group performing such iconic ‘60s hits as, “Can’t Buy Me Love,” “Up On The Roof,” “Time Of The Season,” “Candy Girl” and more. More information: www.themidtownmen.com; www.palacetheaterct.org. The Mark Twain House and Museum presents an evening for cat lovers at the home of one of America's most famous cat enthusiasts. It's MEOW-ZA! Cat Writers Come Clean 7 pm Saturday, Sept. 20. When these three authors get together to talk, the conversation is bound to get catty! Allia Zobel Nolan, author of over 200 titles including Cat Confessions: A Kitty Come Clean Tell-All Book, 101 Reasons Why a Cat Is Better than a Man, and Women Who Still Love Cats Too Much, Clea Simon, author of 16 cat detective books including the Dulcie Schwartz Feline mystery series (Grey Dawn), and Darlene Arden, Certified Animal Behaviorist Consultant and author of dozens of dog and cats books including The Complete Cat's Meow, and Beautiful Cats will purrtake in a panel discussion on writing successful feline novels and how they've created gripping, believable, and entertaining fiction with characters who sleep 20 hours a day. This is a free event, and is followed by a book sale and signing. 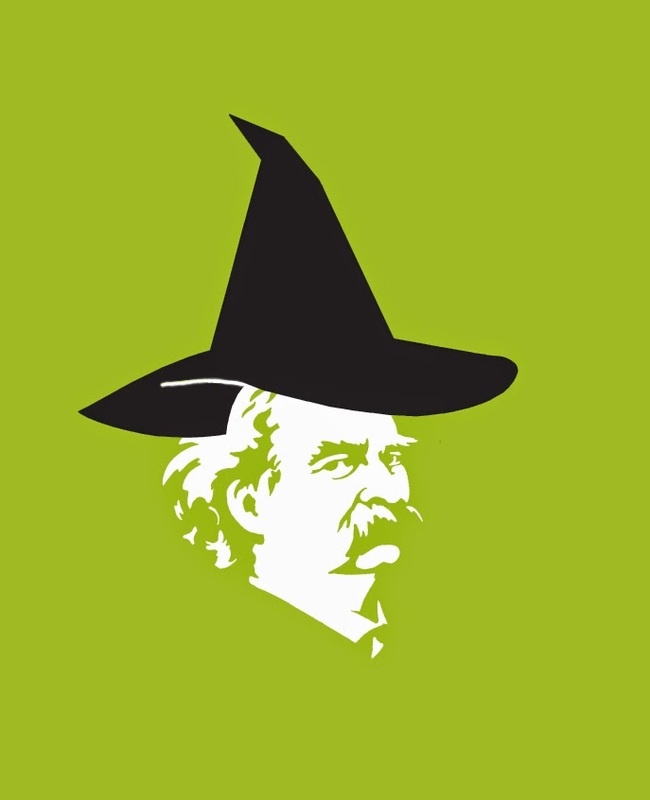 Reservations are suggested: 860-280-3130; marktwainhouse.org and click on Events. Collaboration of some of Connecticut's "20 something" musicians and dancers present a night of tap dancing and jazz music. Tapand Jazz features internationally accomplished tap dancer Tyler Knowlin, award winning jazz vocalist Alita Moses, Emmy award winning composer and pianist Sean Pallatroni along with other guest artists. Presented by stop/time dance theater and Playhouse on Park, this event takes place on Friday, Aug, 22 and Saturday, Aug. 23 at 8pm. Tickets range from $15 - $25, reserved seating. This event is BYOB. Playhouse on Park is located at 244 Park Road, West Hartford. 860-523-5900 ext 10; www.PlayhouseOnPark.org. 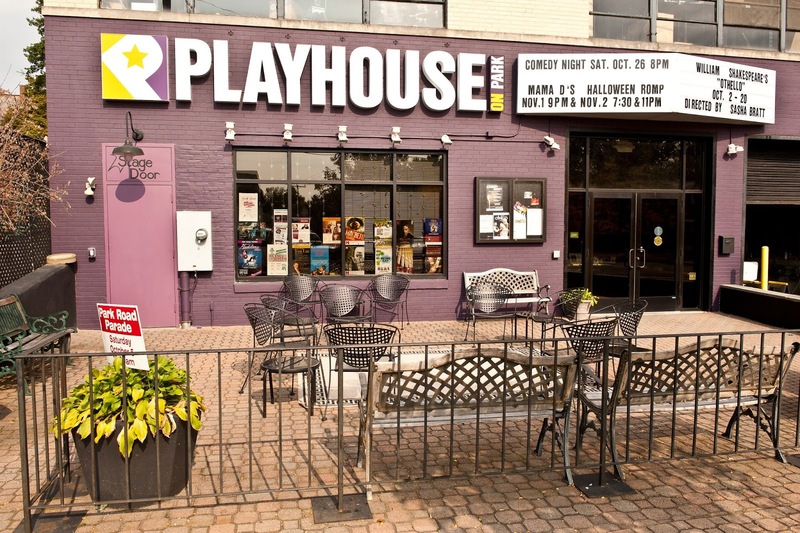 Playhouse on Park is offering the chance to make literary fantasies become reality. Any book club that chooses a book or play from the 2014-2015 Main Stage season can see it come to life on stage. This season's performances will include the Pulitzer Prize winner Angels in America:Part 1: Millennium Approaches, the emotional drama Danny and the Deep Blue Sea, the Tony award winner Proof, the middle-class comedy The Dining Room, the Oscar Wilde classic The Importance of Being Earnest, and the provocative drama Oleanna. Group rates, Talk Back with the cast and crew: www.playhouseonpark.org; 860-523-5900 x10. Gregory Maguire who wrote the original novel Wicked - The Life and Times of the Wicked Witch of the West and Stephen Schwartz, legendary composer and lyricist of Pippin, Godspell, and wicked, Maguire's twisted take on L. Frank Baum's universe, will be the guests for A Wicked Cool Evening, 2014's Mark My Words event for the Mark twain House and musuem. The conversation, moderated by the Hartford Courant's Frank Rizzo, will be helod 8 pm Tuesday, Oct. 21 at The Bushnell. Musical guests and surprises have been promised. The tour of Wicked, the musical, makes a tour stop at The Bushnell Nov. 5-23. The Mark Twain House and Museum's Annual 'Mark My Words' event -- wildly popular authors interviewed by a celebrity host -- has become a mainstay of the Connecticut literary scene over the past three years. John Grisham, David Baldacci, Jodi Picoult, Steve Berry, Sandra Brown, R. L. Stine, Sue Grafton, Alice Hoffman, and Scott Turow have been featured. The VIP Package at $125 includes Premium Orchestra Seating, private reception with Maguire, Schwartz and Rizzo. Orchestra and box seats are $55, mezzanine seats are $25-40. Tickets can be purchased online at www.Bushnell.org or by phone at (860) 987-5900. All proceeds go to the Mark Twain House and Museum. For additional information, visit www.twainmarkmywords.com. Gregory Maguire is best known for his 1995 novel for adults, Wicked: The Life and Times of the Wicked Witch of the West. A New York Times and Publishers Weekly bestseller, and cited by Barnes & Noble in its "Discover Great New Writers" recommendations for the Fall of 1995, Wicked inspired the Broadway musical of the same name and three New York Times bestselling sequels in the Wicked Years cycle: Son of a Witch, A Lion Among Men, and Out of Oz. The Tony Award-winning Wicked, well into its eleventh year on Broadway and playing in nine productions internationally, has broken box office records in nearly every venue in which it has appeared. His latest book Egg & Spoon, a dazzling novel for fantasy lovers of all ages set in Russia, will be released on September 9, 2014. Born and raised in Albany, New York, and schooled in a parochial setting until college, Maguire published his first novel for children at the age of 24. 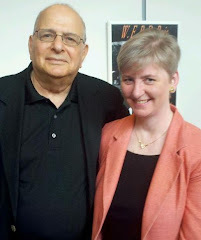 He has written eighteen novels for children and eight novels for adults. Currently he spends his time in Massachusetts, Vermont, and France with his husband, the painter Andy Newman, and their three children. Stephen Schwartz was born in New York City on March 6, 1948. He studied piano and composition at the Juilliard School of Music while in high school and graduated from Carnegie Mellon University in 1968 with a B.F.A. in Drama. In 1971, he wrote the music and new lyrics for Godspell, for which he won several awards, including two Grammys. The following year, he wrote the music and lyrics forPippin, and two years later, The Magic Show. At one point, Godspell, Pippin and The Magic Show were all running on Broadway simultaneously. He then began working in film, collaborating with composer Alan Menken on the scores for the Disney animated features Pocahontas, for which he received two Academy Awards and another Grammy, and The Hunchback of Notre Dame. Mr. Schwartz's most recent musical, Wicked, opened in the fall of 2003 and is currently running on Broadway and in several other productions around the United States and the world. In 2008, Wickedreached its 1900th performance on Broadway, making Mr. Schwartz the only songwriter in Broadway history ever to have three shows run more than 1900 performances. Pippin is currently running on Broadway and received the 2013 Tony Award for Best Revival of a Musical. He is currently preparingThe Hunchback of Notre Dame to be his first stage musical since Wicked. Frank Rizzo has been covering the Connecticut arts scene for more than 37 years, 32 of them for The Hartford Courant. He also writes reviews and stories for the New York Times, Variety, American Theater Magazine and other publications. During his tenure he has written about disco, rock and punk; covered the Oscars, the Grammys, the Tonys and Live Aid. He was in Cincinnati for the Mapplethorpe Obscenity Trial, at the U.S. Supreme Court for the NEA Four case, and at the Dakota for the John Lennon vigil. He's profiled such figures as Mikhail Baryshnikov, Julia Child, Rock Hudson, Dr. Ruth, August Wilson, Elizabeth Taylor, Meryl Streep and Mischu, the world's smallest man. 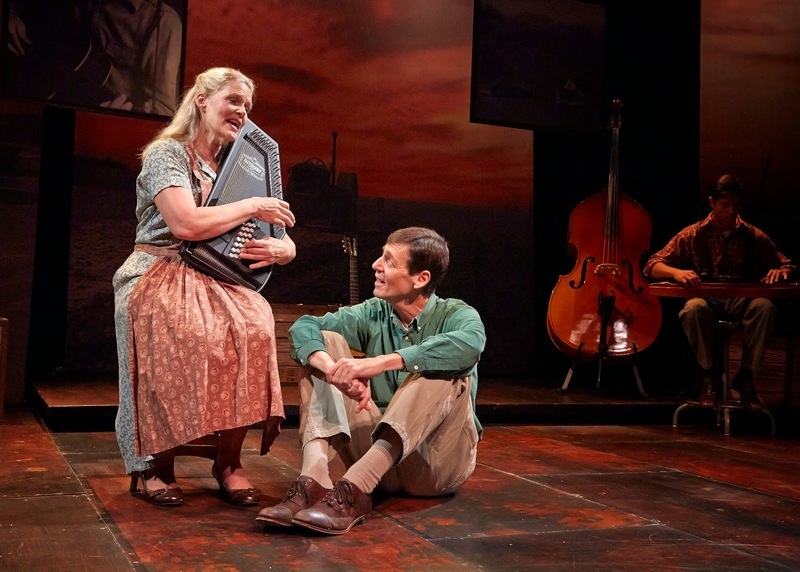 Woody Guthrie’s life and music blends with first-string storytelling to strum out Woody Sez, a satisfying jam session closing out the season at TheaterWorks. He also music directs the show, which features cast mates David Finch, Leenya Rideout and Helen J. Russell, who play a myriad of instruments, sing along on more than 30 tunes and take on various characters from Guthrie’s life. Set against a backdrop of farmland and photos (set design by Luke Hegel-Cantarella) vignettes of Guthrie’s troubled life play out in perfect harmony with the songs. As a young boy, he remembers singing with his mother (depicted by Russell) who has a strange look in her eye after the family’s Oklahoma home burns down. Guthrie suffers though other tragedies, including the deaths of family members, several other fires and his mother’s deteriorating mental health which turns out to be hereditary. “Everything we do is aimed right at going on,” his mother says. Guthrie supports himself with singing gigs and hits the road. On the “ribbon of highway” he travels, Guthrie becomes the voice of the people struggling to survive during the Great Depression, the Dust Bowl and poor working conditions before unions came to prominence. He marries three times and has a large number of children, including, if you didn’t know already, Arlo Guthrie of “Alice’s Restaurant” fame. The cast, which tours regularly with the show, performs with ease together and on so many instruments they are impossible to count (Finch and Rideout shine on the fiddle while Russell takes on the bass and dulcimer.) Lutken’s stirring rendition of “Dust Storm Disaster” is the highlight of an already moving presentation. Lutken won regional awards for this performance in 2012. Corley’s able direction keeps the format from becoming monotonous (though timelines sometimes are confusing). An intermission is added to the show here extending what should be a 90-minute one act to a bit-too-long two hours. The politics are fun, and surprisingly contemporary, and even though the mood hits a few notes on the lower end of the emotional scale because of the multiple tragedies endured by Guthrie and his family over the years, this show is made for you and me. Note: Woody Sez you can join in the fun Sundays (Aug. 17, 24, 31, Sept. 7 and 14) at 4:45 pm following the matinee performance for a free hootenanny. Bring your instruments and jam along. Show attendance not required. Free. Woody Sez runs though Sept. 14 at TheaterWorks, 233 Pearl St., Hartford. Performances are Tuesdays, Wednesdays and Thursdays: 7:30 pm; Fridays and Saturdays: 8 pm; Weekend Matinees at 2:30 pm. Special matinee Wednesday Sept. 10 at 11 am. Tickets $35-$65: 860-527-7838; www.theaterworkshartford.org. If you are wondering whether it’s worth seeing the oft-produced musical La Cage Aux Folles again, the answer is yes if you are headed over to Ivoryton Playhouse. The Jerry Herman musical, with a book by Harvey Fierstein, Jean Poiret and Jerry Herman, won six Tony Awards when it premiered on Broadway in 1983. Since then it seems like there always is a production on the season calendar of a theater near you. You can even catch the movie version, “The Bird Cage,” starring Nathan Lane and Robin Williams. The production at Ivoryton, helmed by Lawrence Thelen, with choreography by Todd L. Underwood, is reason to see it again. Thelen has assembled a talented cast, some of whom have played the roles before elsewhere, to present a polished and moving show, well done on the small Playhouse stage. James Van Treuren is Georges, the manager of Les Cage Aux Folles, a St. Tropez drag club where Les Cagelles (Dyllan Valier, Cameron Benda, Xavier Reyes, John Paul Le Porte, Carlos Chang, Jay w. Garrick, Lincoln Ward, Patrick Heffernan) strut their stuff (costumes by Njaye Olds and wigs by Elizabeth Cipollina). Headlining is drag queen ZaZa, Georges’ partner, Albin (David Edwards). The couple has shared a life together for years, living in an apartment above the nightclub (sets are designed for easy change with subtle details by Cully Long) where they are attended by butler/maid Jacob (Phil Young) who longs to star in the show. Suddenly, Georges’ son John Michel (Zach Trimmer), the result of his father’s one-night stand, announces that he is getting married. What should be a happy announcement is full of angst, however. His prospective father-in-law is none other than Edouard Dindon (Frank Calamaro from Chester, CT), head of the "Tradition, Family and Morality Party,” who is running for office on promises of eliminating all the drag clubs. A “real” mother is what Jean Michel wants to present, so he asks Georges to invite his biological mother over to meet his prospective inlaws and to keep Albin out of sight. Mayhem ensues, especially when Albin decides to show up to meet John Michel’s fiancée, Anne (Allyson Webb), her formidable father and his uptight wife, Marie (Samantha Talmadge from Groton). Highlighting this production, are the solid performances given by the principals. Broadway vet Van Treuren played Georges in Downtown Cabaret’s production of La Cage and Edwards, also a Broadway performer, has played Albin in regional theater. The men are friends off-stage, according to press materials and that comraderie is evident on stage. Meanwhile, Trimmer performs the role of Jean Miche for the third time (the others were for North Shore Music Theatre and Theatre By the Sea). His beautiful voice makes “Look Over There” and “With Anne on My Arm” real treats. Young returns to the Playhouse (he was in All Shook Up) and leaves the audience in stitches with his over-the-top, zany interpretation of Jacob. Also wowing is Talmadge, as the prissy politician’s wife in her priggish pointy spectacles. Her excellent singing voice probably comes as no surprise to students at Connecticut College where she is an adjunct instructor of voice. Costume designer Olds gets kudos, not only for small details like those eyeglasses, but for the sheer number of costumes needed -- many with sequins, feathers, bangles and beads. And if that’s not enough praise for the show, there still is another notable performance to mention: MarTina Vidmar as Jacqueline, a restaurant owner and old friend of Georges and Albin. She brings to mind Bernadette Peters, in looks, stage presence and energy and magnetizes our attention to a minor role. Eric C. Bloomquist, Cori Stolbun and Conor M. Hamill complete the capable ensemble. The polished production, and well-presented favorite songs like “The Best of Times” and “I Am What I Am” under the adept musical direction of Michael Morris, conducting an eight-person band upstage, makes this an enjoyable trip back into the Cage, though sound (designed by Jo Nazro) can be uneven at times. The show clocks in at about two hours and 40 minutes with an intermission. La Cage Aux Folles plays through Aug. 31 at Ivoryton Playhouse, 103 Main St., Ivoryton. Performances: Wednesday and Thursday at 7:30, Friday and Saturday at 8. There are 2 extra matinees for this show on Saturday Aug. 16 and 23 at 2 pm. Tickets are $42 for adults, $37 for seniors, $20 for students and $15 for children. (860) 767-7318; www.ivorytonplayhouse.org. The 12.14 Foundation has produced two shows for its summer from the Newtown-area as a continuation of its mission to promote personal development through high-level performing arts programs. The first show A Rockin' Midsummer Night's Dream, a world premiere adaptation of one of Shakespeare's favorite plays will be performed on tonight at 7, Aug. 9 at 2 and 7 pm and Aug.10 at 5pm. The second show will be the regional premiere of The 101 Dalmatians Musical with remaining performance Aug. 10 at noon. Both productions will take place at Newtown High School, 12 Berkshire Road. Tickets and tickets are $25-$30. The world premiere of A ROCKIN' Midsummer Night's Dream is a new musical version adapted by Michael Unger and Eric Svejcar with a score by Svejcar. Joining the Newtown children in this production are Broadway stars Marla Mindelle (Rodgers and Hammerstein’s Cinderella, Sister Act), Clark Thorell (Hairspray, Annie revival) and Saum Eskandani (Disaster!, A Year With Frog and Toad). The Foundation also plans to produce and release a CD of the production with Broadway Records. Unger directs, Jeffrey Saver is music director with Newtown's own Brett Boles as his associate, Jennifer Paulson choreographs. Orchestrations are by Kim Scharnberg. Van Dean is co-producer and Michael Baroody, MD, founder of the 12.14 Foundation, is the executive producer. Approximately 20 Newtown students apprentice backstage to learn from the team of Broadway professionals participating in the productions. The orchestra also includes Newtown-area parents and students. production stars Kristine Zbornik (A Catered Affair on Broadway, Mamma Mia in Las Vegas) as Cruella and more than 100 Newtown children (ages 4 to 13) as the Dalmatians. This production will is designed by Newtown High School students, under the supervision of Midsummer’s team of professional designers. “The young performers are undergoing a rigorous rehearsal process six days a week for six weeks in preparation for the shows. They are deciphering Shakespeare while simultaneously contributing to the process of developing an original musical. Our Dalmatians will amaze you with their incredible talent honed by our dedicated Broadway professionals.” Michael Baroody said. The 12.14 Foundation is a non-for-profit organization formed following the tragedy at Sandy Hook Elementary School to encourage personal development through high-level performing arts programs. The Foundation provides experiences that produce a long-lasting, positive affect on the way children see themselves and the world around them. The Director of The Leadership Development Program at the Yale School of Management has assembled a volunteer team of experts specialized in leadership, applied psychology, and executive coaching. Their team has constructed an innovative character development strategy that integrates synergistically with arts initiatives to encourage each child to reach their personal potential. Children learn skills and values such as integrity, collaboration, commitment, communication, problem-solving, positive-thinking and confidence. They are guided through self-realization, feedback exercises, and coaching sessions that help each child maximize their individual strengths and overcome weaknesses. The 12.14 Foundation is also working towards building a performing arts center in Newtown as a living remembrance of those lost on Dec.14, 2012.